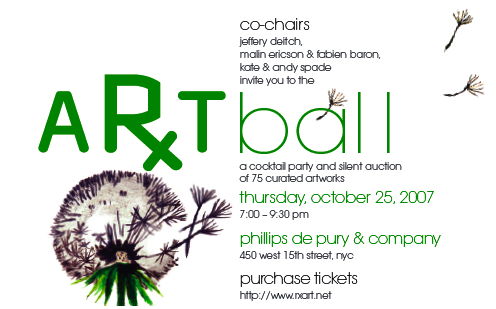 The annual RxArt Ball will be held tomorrow, Thursday, October 25th at Phillips de Pury from 7:30pm to 9pm. Ms. Diane Brown and Ms. Camille Obering were generous enough to allow AO a sneak peek at the works that will be vied for tomorrow. Judging from the vast array of works, it seems like the event will be a huge success. Ms. Obering explained that each artist was sent at 10 x 10″ blank canvas to create an original piece for the auction. Most of the artists sent back the original format, others were generous enough to send an existing piece or a larger original that does not follow the 10 x 10″ format. The resulting selection is striking and playful. Richard Prince donated a piece from his “Publicity” series, featuring a framed publicity photo of actress Jenny McCarthy and a photo taken by Prince. A sculpture of a lone finger encased in plexiglass by Terence Koh is in a corner, designer Cynthia Rowley sent a watercolor and pencil beetle with a gorgeously intricate frame, and a seductive Marilyn Minter photograph taunts the viewer with bold colors and shine. A few artists sent in drawings created for the RxArt coloring book, another fundraising project of the organization. Iconic of Sol LeWitt‘s work, juxtaposed drawings of wavy lines shredding the paper were framed, as was a lyrical scene of animals in a jungle by Laura Owens, a Los Angeles-based artist whose popularity has seen a recent soar. Tom Sachs donated his drawing as well. Tom Sachs submissions end up being indicators of the major work he exhibits next. Other artists featured in the auction include Barnaby Furnas, Rirkrit Tiravanija, Lawrence Weiner, Juergen Teller, Tom Otterness, and Dan Colen. RxArt installs exhibits in hospitals where environments are normally sterile, cold and frightening, and transforms them into more comforting and meditative environments. Their projects have made real differences in healing environments. Ms. Obering said that the works are genuinely curated. “They’re not placed in the lobby but rather where the doctor and family and patients meet to discuss serious diagnosis, or in patient room where they may spend considerable time, where it ‘s very personal”. Earlier this year, artist Jason Middlebrook finished a site-specific installation in the Bone Marrow Transplant Unit at Mount Sinai Hospital in New York. The work, entitled “Traveling Seeds”, is representative of the how patients who receive bone marrow from others, somewhat like how seedpods spread new life. The botanical illustration on this year’s invitation features the installation work. The installation was donated by a patient who had received treatment there, and now the nurses in the Unit are working to raise funds to expand the installation into each of the treatment rooms in the wing. Ms. Obering described the Middlebrook installation as “so successful” because of the how the efforts have come full circle, and now have a “positive working relationship” with the hospital staff. Another lively installation RxArt has helped complete is a video projection at Schneider Children’s Hospital of the North Shore, featuring animals in their natural habitat. The animals seem to come out of the wall, allowing the viewer to interact with them, giving them a short escape from the hospital. A short video is available for view here. The event is sure to be a success – we’ll have an update after the auction! Purchase RxArt Ball 2007 Tickets here. 450 West 15th Street, Third Fl. 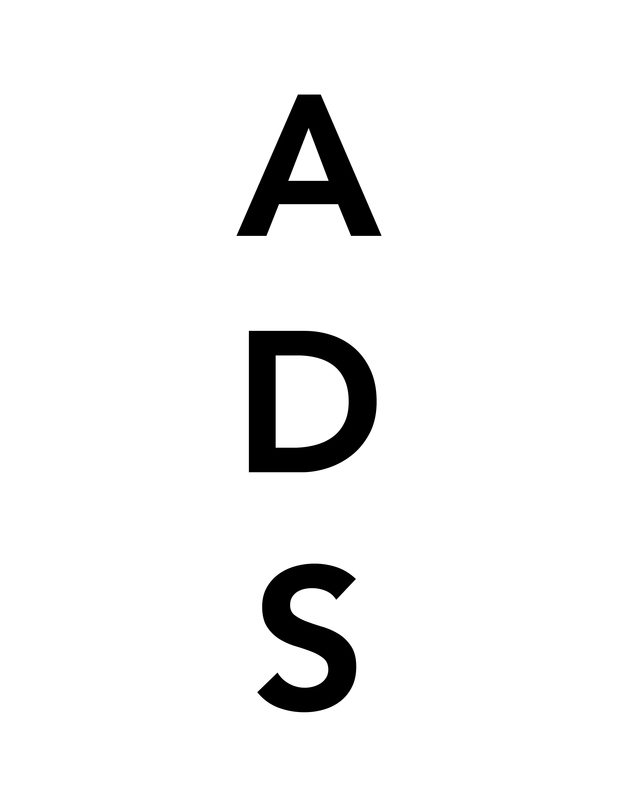 This entry was posted on Wednesday, October 24th, 2007 at 3:13 pm	and is filed under Art News. You can follow any responses to this entry through the RSS 2.0 feed. You can leave a response, or trackback from your own site.